When excavating a foundation, it may seem impossible to break some large and heavy rock, so some homeowners or contractors decide to build around it. But today, there is another option, its name is rock breaker. Rock breaker system, or hydraulic hammer, is a fat-finger-looking device that attaches to excavators and is capable of breaking extremely heavy and large rocks into small pieces. A basic rock breaker system consists a tie rod, back head, valve, piston, cylinder, accumulator and a tool. With a high compressive force impact on objects, the rock breaker is widely used in the mining, construction and landscaping industry. There are many different types of rock breaker systems, especially developed for quarry, demolition, rock breaking and construction purposes. However, all types have similar (or identical) composing parts. Rock breakers have built a great reputation among consumers, both contractors and home-owners, for reliable and cost-efficient operation. A rock breaker system is efficient for raking and breaking and suitable to both mobile and fixed crushing plants. The mobile rock breaker systems provide an on-site and road operation, while fixed systems are known as more durable, safer and more productive operation. Aside from heavy-duty crushing applications, there are rock breaker systems especially designed for soft to medium rock crushing applications. With a constant flow of production through the crushing plant, these rock breakers are able to rake and brake materials of different sizes. The rock breaker systems are efficient for light-aggregate and recycling applications, as they are best fitted on primary crushing plants (usually jaw crushers). The rock breaker systems are suitable to many applications. Ideal for clearing debris applications, but also extremely efficient for tough crushing applications. 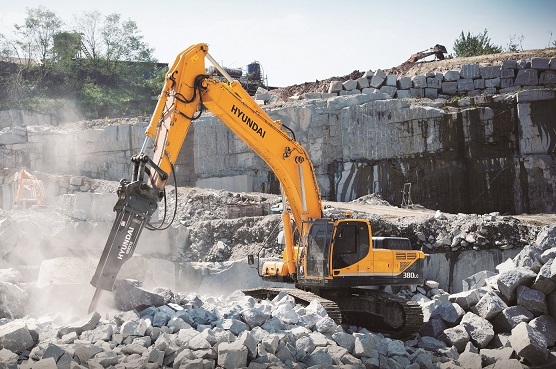 With high-breaking force and incredible versatility, the rock breakers can be used for large construction works, demolition works and quarry applications. Many people still believe that tough job conditions shorten the service life of rock breakers, but in fact, they are able to perform on any job conditions, because they are featured with an automatic lubrication system. The rock breaker system is a little loud and can be disturbing for the neighbors, if used for home projects. The operators are protected from noises, because most excavators feature an incredible low-noise cabins. The mechanical knocking from the rock breakers for longer period can be annoying. Fortunately, with the incredibly advancements over the years, the rock breaker systems have been significantly improved and operate very quick and the noises will not last long. They can tear a huge rock apart in a short period without much trouble.